A cyclist from the Highlands is to embark on a gruelling challenge of successfully navigating the globe on a Scottish-built bike this weekend. 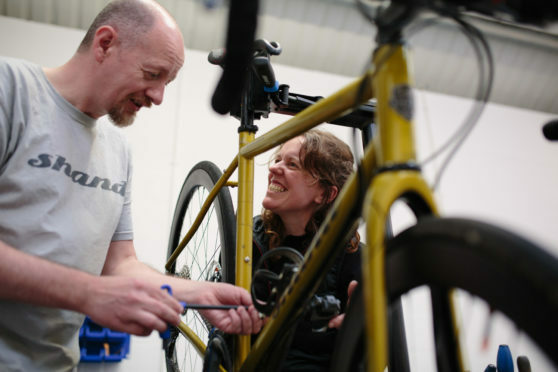 Jenny Graham, from Inverness, aims to complete her challenge by putting Scottish bike-building expertise to the test as she travels through 15 different countries, exceeding 18,000 miles in the process. She will leave from Berlin on Saturday morning. The 38-year-old children’s services worker has already clocked over 3,000 miles on her specially-constructed bicycle in training as she aims to smash the world record for the time taken for a female to circle the globe on a bicycle unsupported. The bike has been constructed by Shand Cycles with the aim of providing Jenny with the adequate equipment to cover 180 miles per day. The current record stands at 144 days and was set by Italian rider Paola Gianotti in 2014. Previously Steven Shand has worked with Sir Chris Hoy designing a keirin bike for the seven time Olympic medal winner.